“In May 2014, I was on the receiving end of an auto accident, caused by the other person, where my car was totaled, and I experienced some physical injuries. I tried to do the right thing and work directly with the other person’s insurance company in an open, and honest way. Unfortunately, they were not willing to do the right thing in return by covering all the medical expenses I had incurred due to the accident. After many attempts to negotiate with them, it became apparent that it was now necessary to solicit an attorney for further assistance in the resolution in this matter. 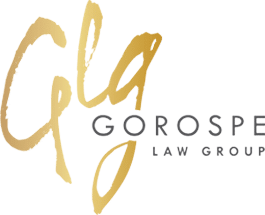 I looked into several local law practices and asked several individuals who they would recommend, and in the end, Anthony Gorospe was the one name that continued to come up. I looked into his practice and his standing and felt that he was the right person to handle my case. After our initial meeting, I knew I had selected the right attorney because he not only looked at the facts of the case, but he listened to me and discerned what was important to me, what and where my ethical stance was for all involved in the case, and what I felt was necessary for wholeness and restoration to occur in my life after the accident. He listened to me…this was so important. He did not push an agenda, and he was very honest and empathic with the discussion. I could tell that his view of the entire situation was from a global perspective and that it was accurate. I knew, then, he would be the best attorney to represent me and my case all the while by still being fair to all involved. Throughout the entire case, Anthony Gorospe exhibited strong character, practiced high ethical value, and was genuinely interested in doing the right thing for his client. I highly value his integrity, his ethical stance, his honesty, his willingness to listen and be attentive, and his thoroughness throughout my entire 2-year experience with him. He gathered all the information necessary and walked me through every step of the process until the case was resolved satisfactorily.